MultiOne machines are some of the most flexible machines available on the market today. With over 170 attachments available and a top class transmission system, they’re sure to play a big role in your next job — and here’s why. Who doesn’t like saving money? On the job site, it’s more than simply reducing costs. It’s about making your business more profitable and passing on savings to your clients. Thanks to the wide variety of attachments available for MultiOne machines, less machines are required for jobs, which reduces overall operating costs. No matter if your next project is in a fenced in backyard or you have limited trailer space, the compact design of the MultiOne machines is sure to come in handy. These machines can access areas that other machines cannot. Take the compact 5 Series for example, which comes in at a mere 38.6 inches wide! 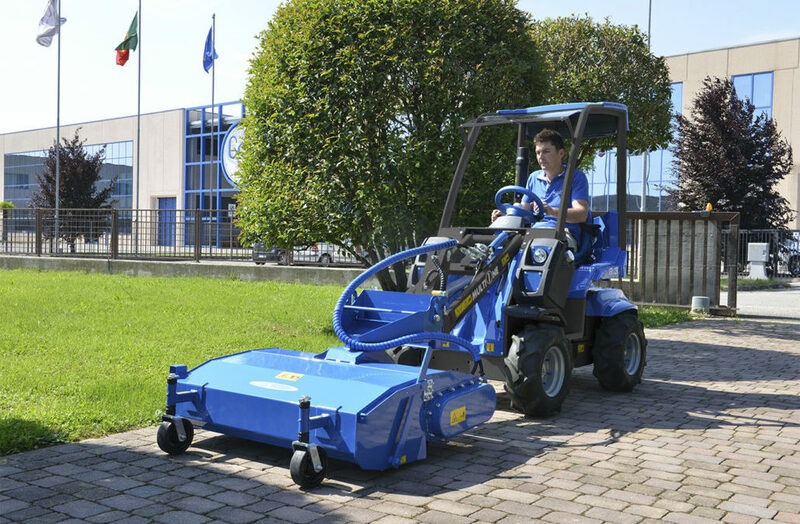 For landscapers, the high lifting capacity of the MultiOne is sure to come in handy. Let’s look at the 5 Series again. Not only is this series the perfect balance in comfort and versatility, it has a lifting capacity of 1808 lbs. This capacity means you have enough power for a wide range of landscaping jobs around residential and commercial properties. Another benefit of MultiOne mini loaders is their light footprint. The series 4 loader has a weight of 2,072 lbs., making it ideal for light professional use or use on grassy areas where it won’t tear up grass or leave deep ruts. Clients are sure to be happy that you won’t leave their yards looking messy! Lastly, MultiOne offers over 170 attachments for their machines. This is certainly one of the best aspects of MultiOne mini loaders! From stump grinders to grapple buckets, you’re sure to find an attachment that will make your next job a breeze. As you can see, MultiOne machines have a lot of benefits. But best of all, you can rent or buy a MultiOne from us today. Just give us a call to discuss your needs and we’ll set you up with a MultiOne loader of your own. JD Equipment is a family owned and operated commercial equipment company, located in Pennsburg, PA. We take pride in solving our customers’ challenges, whether it’s finding the right equipment for an important job or acquiring the right vehicles and trailers to transport it. We operate from the simple principle that everyone we work with should be treated with respect and transparency, and it’s built a strong core business over 30+ years.